On Saturday, October 20th, the 5th annual Walk 4 Literacy was hosted at James McClatchy Park in Sacramento. 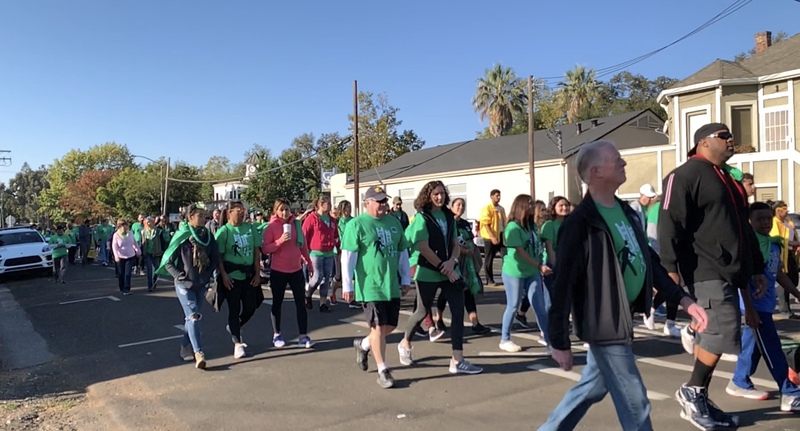 This walk went from McClatchy Park, passed by the Capitol, and ended at Cesar Chavez Park and brought hundreds of people to bring awareness of the dropping literacy levels in schools across California. According to a study by The Annie E. Casey Foundation, two out of three American children do not read at grade level and one in six children who do not read proficiently by the third grade do not graduate high school on time. This rate is four times higher than children who are proficient readers. According to another study by the National School Boards Association,it’s even worse for children who grow up in poverty. 22% of students who grew up in poverty do not graduate high school, and 26% of those who were poor are not reading at proficiently levels. While there are many issues surrounding the literacy of our youth, events like Walk 4 Literacy aim to combat these problems and hope to provide a solution. If you are interested in learning more about their efforts, please visit walk4literacy.org and make to watch this quick video about the event.